Very soon after introducing T³Alliance it’s time to set the tone for the entire program with the introductory lesson on growth and fixed mindsets. As outlined in the video above, this fits into three components: 1. Teaching about growth mindset; 2 Set the tone with an ice breaker; and 3. Build a robot with a brushbot. Here is the link to the presentation referenced above. 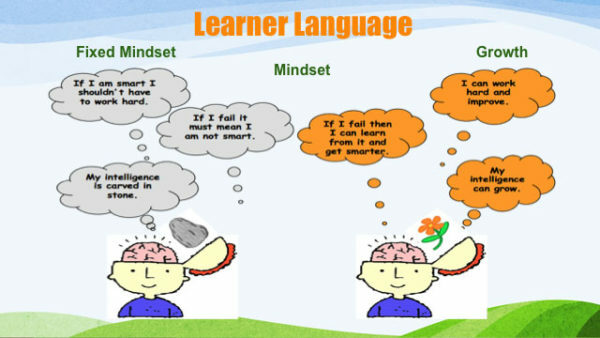 The easiest way to get students on the same page is to share the Carol Dweck RSA Animate video. The video will introduce the importance of how we speak to each other about our work. You may want to look for some materials for an ice breaker. These can be short pieces of rope that can be used to start off the program in the Infinite Loop Handcuff Solution: https://youtu.be/aiNl-EL6vfk. We believe in allowing curiosity, exploration and PLAY to happen. It means kids have to feel safe to explore and have fun, even in the midst of failures. 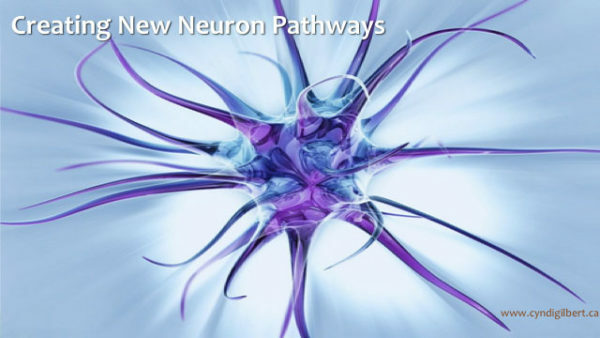 The term we now use is “neuroplasticity” to change the way our brains think. 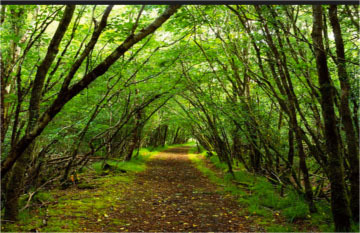 Imagine your brain is like a forest. You could potentially make a walk­ing path anywhere, but ahead of you is the road most often followed. The ground on this path is smooth and compacted, the brush has been cleared. It’s easy to walk on, especially since you’ve walked it hundreds of thousands of times before. You walk on it automatically, unconscious of the decision to move in its direction rather than go, or be, another way. If you want to change a belief or a habit or a physical sensation or negative self-talk, you must create a new path. You need to take a road less traveled. 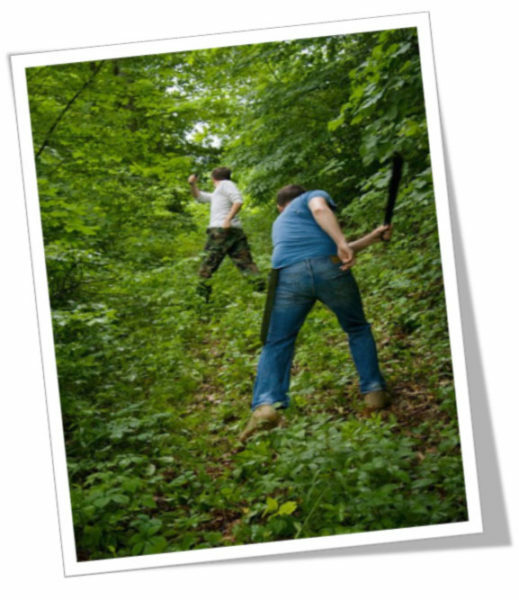 You’ll need a machete to clear away the brush and branches. You’ll probably get scratched by spiky plants and twigs along the way. It will be hard. It’s easy to slip back into old ways of being. 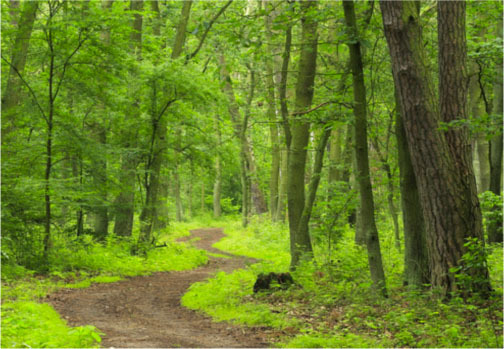 That’s why most of all, it’s absolutely necessary to walk on this new path over and over and over again until the ground is smooth and compacted, until the old path has for grown over and the forest has reclaimed that space with a density of plants. Now the easy path is the one you created, consciously and with a healing intent. 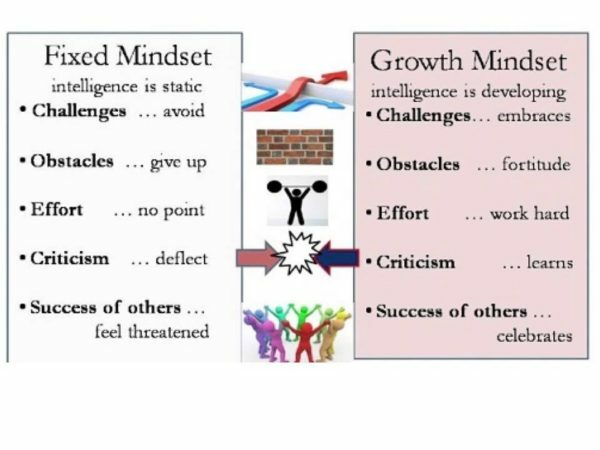 Here’s a 5-minute video about Growth Mindset vs. Fixed Mindset. Remind students that it’s only through failure that we gain our greatest knowledge. Congratulations on taking the first step towards your students learning all they can and not limiting themselves or others. 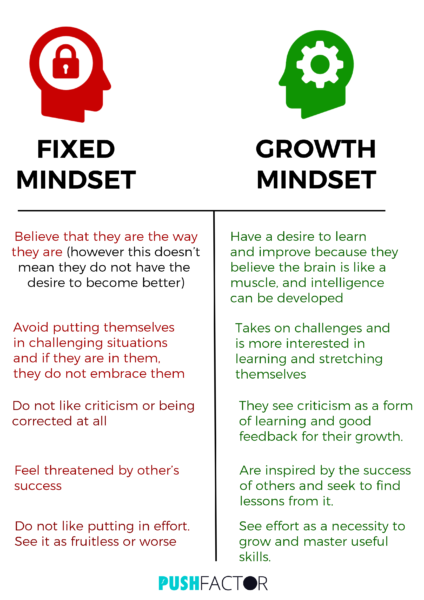 Changing from a “fixed” to a “growth” mindset is not easy. We often revert back to what we know when under stress. Encourage your students to keep this in mind as you continue to reinforce positive feedback. Posted in Curriculum, Growth Mindset, Materials, Resources, Uncategorized. 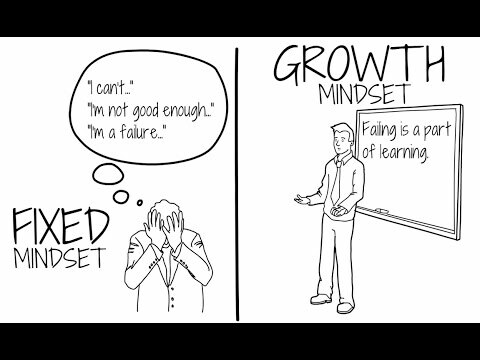 Khan Academy now also has resources and lesson plans for Growth Mindset.